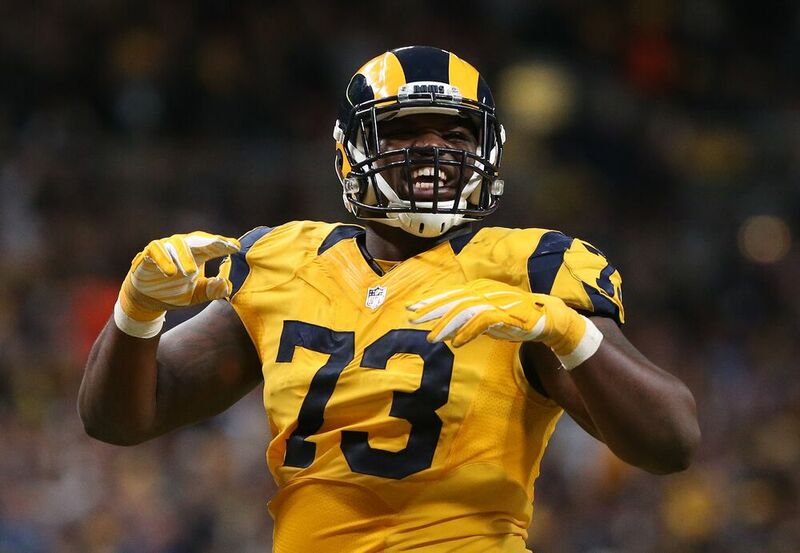 Los Angeles Rams offensive tackle Greg Robinson has been traded to the Detroit Lions for a 2018 sixth-round pick. The Rams have also signed Cyrus Kouandjio. It’s the end of an era in Los Angeles Rams football, as the Rams have traded away former No. 2 overall pick in the 2014 NFL Draft offensive tackle Greg Robinson to the Detroit Lions. The Rams will receive a 2018 sixth-round pick for their failed starting tackle. ESPN’s Adam Schefter first reported the trade on Thursday morning. He would say that the Lions’ decision to trade for Robinson was to help offset the loss of the injured Taylor Decker. While Decker was brilliant in his first year with the Lions out of Ohio State in 2016, he will be out four to sixth months after undergoing offseason shoulder surgery.Robinson at least helps the Lions in terms of offensive line depth in the meantime, as Detroit looks to build on its 2016 NFC Playoffs berth. Rams traded former No. 2 overall pick Greg Robinson to Lions for a 2018 sixth-round draft pick, source tells ESPN. Detroit needed another OT with injury to Taylor Decker and Rams were using OT Jamin Brown ahead of Greg Robinson. Thus, a trade. Schefter’s ESPN colleague Field Yates reports that the Rams have signed former Buffalo Bills tackle Cyrus Kouandjio in free agency to offset the Robinson trade with the Lions. Basically, we’ve got two former star offensive linemen with SEC roots that have underwhelmed in their NFL careers thus far changing teams. The Rams clearly whiffed on drafting Robinson out of Auburn in 2014. While he was an absolute road-grader in run blocking for the 2013 national runner-up, Robinson never proved that he could be counted on in pass protection. Add in that the Rams picked Robinson over other offensive tackle prospects in 2014 like the Atlanta Falcons’ Jake Matthews and the Tennessee Titans’ Taylor Lewan and the No. 2 overall pick looks even worse. Kouandjio is another example of how a great player with the Alabama Crimson Tide can quickly become also-ran in the NFL. He was outstanding playing for Nick Saban in Tuscaloosa, but Kouandjio struggled to make a big impact as a second-pick by the Bills in 2014. With a new coaching staff in place with the Lions, maybe Kouandjio can re-invent himself in Detroit? As for Robinson, anything would be better for him that his abysmal career so far with the Rams. He’ll at least have an opportunity to compete for playing time with the Lions now that Decker is out for the foreseeable future.